Let’s start by dispelling a common myth about sports massage. It’s not just for athletes – anyone can benefit from regular treatments, especially if you have a physically demanding job, which can lead to tight muscles in the neck and back areas. Let’s start by dispelling a common myth about sports massage, it’s not just for athletes, anyone can benefit from regular treatments, especially if you have a physically demanding job. 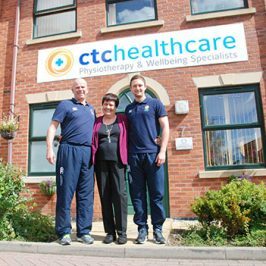 Here at ctchealthcare the principal purpose of sports massage is to help alleviate the stress and tension which can build up in your body’s soft tissues. A range of different techniques are incorporated into our sports massage treatment to ensure it is tailored to your specific needs each and every time.